My friend pointed me to an article by Sean McDowell and asked me to comment on it based on a shared experience some 18 years ago. One quote really resonated with me. I was a graduating high school senior at the time, and he was volunteering in a student ministry at a nearby church. I remember that season of life as one in which I was reconsidering faith and church. Everything seemed so old and familiar to me. Having grown up in the church, I wondered if my relationship with God was really something of a supernatural sort or merely the product of my upbringing and the social contexts I found myself in. I had grown disillusioned with my faith, and I was visiting nearby churches to see if it was just my church or something deeper in my soul. I recognize that this is something that most Christian teens go through having counseled and shepherded many teens through this (some successfully, others not so much). I have thought long and hard about why this is, and more importantly, how to help parents navigate that season of the faith journey. I came to the sneaking suspicion that the disharmony of that season was an important part of my faith journey because it upset the status quo and in many ways, enlivened what had become stale. I know that there’s a risk of suggesting some sort of dualistic understanding of disharmony and harmony here (as if to say that the harmony is defined by the disharmony and wasn’t harmony unless the disharmony happened), but that’s not what I mean. Genuine faith does not by definition need doubt to be genuine. What I mean is that the disharmony, the disillusionment, the dryness, and the questioning plays a critical role in the ownership and personalization of faith. It gives my faith its unique contours. I was glad to find that my sneaking suspicions were not my own. C.S. 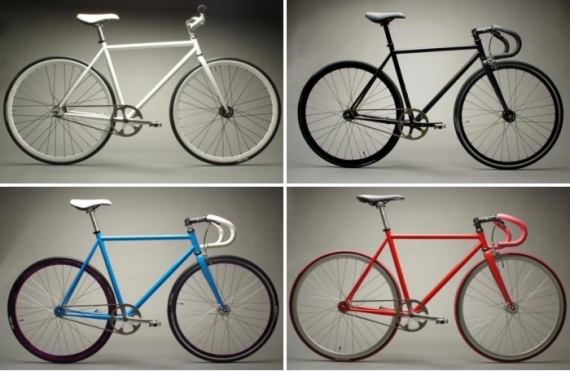 Lewis commented on this in a short essay called “Talking About Bicycles”. Walter Hooper collected this and other short, journalistic essays in a little volume called, Present Concerns. I found this short article to be so profound in thinking about my own journey. You can read the article for yourself to understand its context, but let me tease out the major takeaways for the topic at hand. Lewis cites four stages that humans go through with sort of experience of something: war, politics, love, faith, even love. Unenchantment. This is the period where you are ignorant and uninformed. You have no knowledge of the subject matter, nor do you care about the subject matter. The sign of this stage is usually ignorance or even disdain based on that ignorance. Enchantment. This is the stage when you first become enamored by the subject. That first crush. The joy of swinging a golf club. Cuddling with a dog. Realizing that God created everything. Understanding that God loves you. The sign of this stage is a nascent and sometimes naive passion. Disenchantment. This is the stage when the subject loses its luster. The reality of familiarity sets in. That crush becomes a distant memory. The frustration of the game gets to you. Disappointment and reality cloud your vision. The Good News becomes the Old News. God’s love becomes distorted into a man-centered, egotistical pity party. The sign of this stage is disillusionment, boredom, and even cynicism. Re-enchantment. This was to me the most perplexing and eye-opening part of Lewis’ presentation. 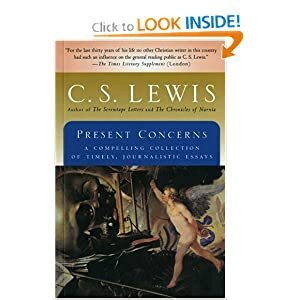 Lewis suggests that in this stage one experiences true enjoyment of the subject because it is rooted in the reality of what that subject is. The Enchantment stage was necessary because it gave you a taste that something was out there that could really satisfy your longing for love or passion or joy. (In fact, Lewis calls it such in his quasi-autobiography, Surprised by Joy.) However, through the Disenchantment stage, you come to realize that what you thought was the true was only a shell, a mirage of the true thing that you now experience in the Re-Enchantment stage only you can’t come to understand the reality of it without the memory of that mirage. I know, it’s a bit abstract and complex, so let me try to apply it to my own faith journey. I think you can see quite easily how the unenchanted, enchanted, and disenchanted stages applied to me. As I church-hopped for those couple of months, I was expressing my own disenchantment with the church and with faith, and it was a necessary step to free me from the ‘illusion’ of my own naive faith. I say ‘illusion’ because I don’t mean that my faith wasn’t real. I only mean that it was a taste of something much more real, much deeper. As I didn’t see God working at my church (even the language betrays naivety), my enchanted view of an ideal, vibrant youth group didn’t materialize, and it pushed on my mirages and illusions of what I thought community should be. It exposed my enchanted faith as a mere taste of something more real – a deeper faith where faithfulness and presence, stability and endurance are to be valued over personal taste and ‘fit’. The loneliness and questioning of that time of disenchantment didn’t just challenge my faith, it reimagined it into something more real than it was before. The moral of the story is this: I am so grateful for that time of disenchantment (some leadership theories call it ‘isolation’ or ‘wilderness’), and I attribute several factors during that time that got me through. In a future post, I will talk about and solicit specific ways parents, pastors, and friends can help one another navigate the cycle. 1. Patient friends and parents who allowed me to wrestle and ask my questions (even though I was very cynical and arrogant). 2. The grace of God to protect me and preserve me even when I wanted to self-destruct. 3. Gracious counsellors who decided for one reason or another to find out why I was doing what I was doing (or at least help me process it for myself). I can say with great thankfulness that although the cycle has repeated itself several times over the last 18 years, I am experiencing an ever-growing Re-Enchantment of faith that I pray helps enchant (and one day, re-enchant) my sons, my wife, and the sheep God has entrusted to me.